The Series 40-powered Asha 210 was announced on April 24 and will debut during the second quarter of 2013. It’s an entry-level device that will launch in emerging markets. 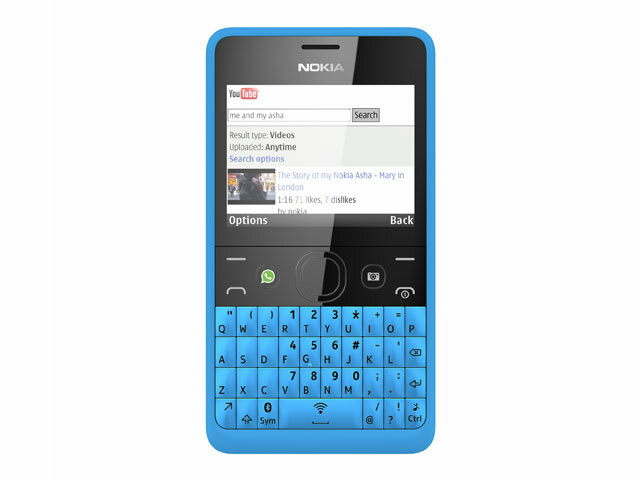 It packs a full QWERTY keyboard and a dedicated WhatsApp button. Battery Specifics NA but up to 42 days of battery life.